Such a disappointment! As I scrolled through my Facebook posts, I saw the vitriol. Several people I respect had posted ugly words against the congresswomen dressed in white for the State of the Union address. Giant black X’s on their faces. Those women were dressed in white to honor the 100th anniversary of the 19th amendment which gave women the right to vote. It was an important anniversary and a simple way to honor that vital addition to our constitution. I am SO grateful for the years of protests, the marches and the hard work of these women. I honor Elizabeth Cady Stanton, Lucretia Mott, Susan B. Anthony and the scores of volunteers who were persecuted, harassed and even killed so that I can vote. Yet because the majority of those women seated in the chamber were from a certain political party, these Facebook posters decided to attack them. No consideration for what they represented with their white outfits. Only personal assault. 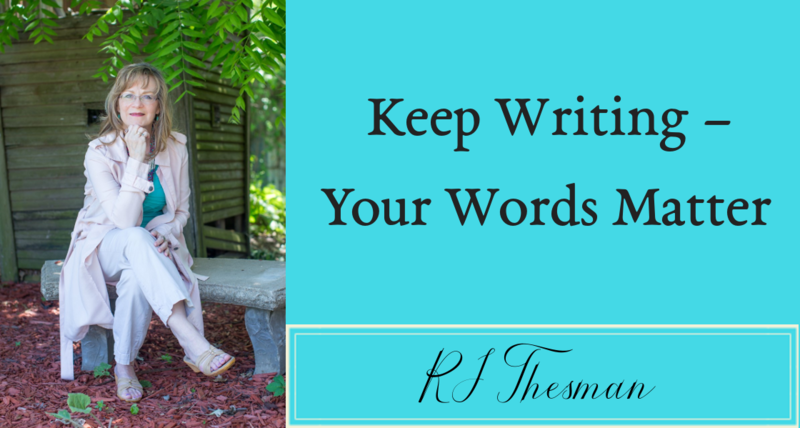 Words have the power to bind up — but also to tear down. Perhaps these people have forgotten that we will all give an account to God for every word spoken, including the words shared through cyberspace (Matthew 12:36). Most of these Facebook “friends” fight for pro-life policies. And let me clarify before I receive any more hate mail — I, too, am pro-life. But I believe life includes the point of conception and expands until the moment of death. People outside the womb are as important as babies inside. No one deserves to be X’d out. How can someone claim to be pro-life yet try to destroy the living of someone else? Isn’t that the epitome of hypocrisy? This is one reason why millennials are scared away from Christianity. They read the ugliness, the constant name-calling and cannot reconcile negative actions with positive beliefs. Should we fight for our beliefs? Absolutely! But standing up for our values should not counteract how we speak. Voting for the policies we value does not have to include lambasting those who choose a different belief system. If we slander others, Romans 1:30 calls us to judgment. I am already dreading the 2020 campaign season with its forecasted ugliness. Because I am a published author, I need to be active on social media sites. The various places such as Facebook, Twitter, LinkedIn and this blog are where I connect with my readers and introduce my new books. I cannot just delete everything and leave. But I am increasingly disgusted by what I read, posted by normally good people. Maybe it’s because cyberspace makes us feel invisible. We think we are somehow anonymous. Venom always has a poisonous source. Verbal ugliness stems from prideful anger enveloped in a selfish heart. So far, I see no change. And that causes hope to fade. Check out my newest book, UPLOADING FAITH: What It Means to Believe. In a previous post, I wrote about the racial diversity of Santa Fe. But a different type of diversity encouraged me, humbled me and taught me to be more open to those around me. During my week in Santa Fe, I met writers who were Jews, Buddhists, atheists, Shamans, Christians and a mixture of faiths including one presenter who labeled herself a Bu-Jew. We laughed together, learned together and connected over bowls of green chile stew, creamy guacamole and quinoa power bowls. Nobody pulled out a copy of the Four Spiritual Laws, tips from the Torah or quotations from Buddha. We simply found common ground as writers, accepting each other’s differences while building relationships. Since then, several of my new friends have followed me on Facebook, added their email addies to my newsletter and committed to my blog. I feel honored to have such a rich diversity of new friends. After one stimulating lunch where several of us shared our love of everything Santa Fe, I walked back to my hotel room. My experience told me the same lunch with a group of Baptists, Methodists and/or free-spirited anointed charismatics would no doubt have resulted in arguments, confrontations and insistence on what the Apostle Paul meant in his numerous argumentative writings. Yet that type of spiritual blasting did not happen with this diverse group. We simply began relationships built on our love of words. Of course, I hoped the eternal Word was reflected in my speech, in my manner, in my acceptance of these dear creatives. And I believe that my future writings will make an impact, if for no other reason than curiosity to be explored. But I understood more clearly than ever before the need to push away from our comfortable zones and wooden pews, to be involved and engaged with people from every faith walk – or no faith at all. The scriptures call Christians to be salt and light. But too much salt gathered in one place makes for a bitter pot of soup. Too much light blinds us to the realities of the needs around us – to those who believe differently yet are still vitally important to the God who reaches out to them. I am more determined than ever before to use my words to embrace and engage rather than to confront. Although I love Jesus more than life itself, his example was to love all and remind the religious leaders how hypocrisy destroys. How can we share hope with the world around us? By letting our hearts invite friendly debate, by refusing to consider ourselves as experts on every question, by building relationships just because we care for our fellow humans. If you are a caregiver already dreading the holidays, check out Holiday Tips for Caregivers – a practical guide for self-care during the stressful season. To keep an open mind and fully underscore my value system, I believe it is important to listen to both sides of an argument. As a Christian, I look for the root of divinity – seeking God’s presence in the everydayness of life and watching for ways God shows up – usually in surprising places. As a writer, I research and analyze characters, settings and the ever-changing plotlines of life. Haven’t we already erected enough walls? We’ve tried to divide and conquer through ugly Facebook posts, malicious Tweets and the constant debates on every news channel – no matter what the political standard. Yes, Fox News can be just as ugly as CNN. I believe Jesus would not waste his time watching either channel. Instead of spending his precious waning hours typing hate on a Facebook page, Jesus would be mowing the lawn for an elderly woman. Instead of using his energy to emasculate his fellow man, Jesus would fix a meal for a single mom and her kids – then tuck an extra fifty-dollar bill inside the napkin. Instead of listening to commentators yell at each other on the idiot box – who can hear what they’re saying anyway? Jesus would be on his knees begging God’s mercy for our fractured land. Instead of screaming in uppercase with red text, Jesus would use his hands to touch the weeping face of a homeless man, fix a broken fence on the other side of the tracks and make sure his neighbors knew they were welcome in his home if their electricity was shut off. The one thing Jesus would NOT do…would be to use his pulpit to bully the other side with religious rhetoric. He was, you’ll remember, constantly reminding the zealots that he who is without sin should throw the first stone. We erect walls because they keep us away from someone different from ourselves. And yet, these emotional and socio-economic walls actually reveal our greatest fear: that I am like you and you are like me – a human being in need of love, compassion and grace. The abused woman and the happily-married woman are the same inside. They want their heart cries to be heard. They want to be honored, cherished and respected for who they are. The homosexual and the heterosexual are the same inside. Each wants to be accepted and loved. They seek love in different ways, but their goal is the same. Love me. Care about me. The Muslim and the Christian are the same inside – each bowing the knee and hoping the mystery of God will hear their prayer requests. Their belief systems are different – yes – but at the core, each seeker hopes God will somehow show up and save them. But it is easier for us to type vitriol than it is to connect with someone we fear. Can we not realize how much alike we are – a blob of needy and messy humanity whose lives constantly unravel – homo sapiens who want to be understood and need to know our lives have meaning. Yet it is somehow more satisfying to scream than it is to hug. It is more appealing to argue than to compromise. Can we not use our energy to do good rather than trying to defeat each other? Can we join together and dig deeper to consider what our calling really involves? To get our hands dirty helping others and let our hearts be bloodied with the capacity to meet needs. To search for the humanity and the divinity in each other and respond with grace. To not revel in the fight but rather join together in the process of rescue. Scripture and history teach us it is not one side or the other, but rather both/and. I wonder which side of the wall Jesus stands on, knocking as always and hoping some lonely soul will answer. Because what we all need is hope, and we cannot find it when we refuse to scale the walls. So I’ve decided to answer that question with a series of blog posts about the 7 Stages. Each week, we’ll look at the next consecutive stage – but not totally from a scientific point of view. My journey into the world of Alzheimer’s has included my mother’s disease but also the viewpoint of a special lady – Reverend G.
These posts will include Reverend G’s personal experiences and her thoughts through each consecutive stage. Also, each post will end with a Bible verse that Reverend G hangs on to during that stage. She is, after all, an ordained minister and her faith is important to her – no matter what is happening to her brain. As we move closer to the book launch for the third book in the series, “Final Grace for Reverend G,” I’ll also include some videos to help my followers understand each stage of the journey. 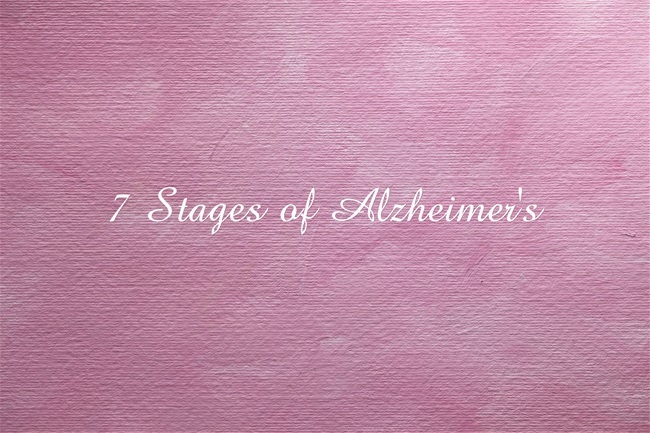 So to introduce the series, here are the 7 Stages of Alzheimer’s – as Reverend G experiences them – with a bit of scientific information from my research. I hope you’ll join me on this series of posts and share them with your friends. Stage 1: Preparation. No cognitive decline is present, but a sense that Reverend G doesn’t feel exactly well and wonders what is going to happen. She believes God is preparing her for something in the near future. Isaiah 43: 2-3. Stage 2: Questions. A small amount of forgetfulness is present, but nothing that impairs life. One example is when Reverend G forgets a line from “The Lord’s Prayer.” This is the stage where “The Unraveling of Reverend G” begins. Isaiah 48:2. Stage 3: Fear. Something is definitely wrong and life is beginning to seem more difficult. Early confusion sets in. Reverend G loses an entire carton of Chunky Monkey ice cream. Fear is a constant companion. Psalm 34:4. Stage 4: Diagnosis. Reality confirms the diagnosis as more and more confusion affects Reverend G. Handling finances becomes more difficult and while short-term memory begins to fog, long-term memory is still coherent. This is the stage where most families begin to consider assisted living arrangements. Reverend G begins to accept what is happening to her. Psalm 43:5. Stage 5: Early Dementia. Reverend G no longer cares about time or the days of the week. She has difficulty counting backwards although she still knows the names of her loved ones. She still enjoys eating cheesecake with blueberries but she may have some trouble tying her shoelaces or making decisions about what to wear. She may have dreams that seem real, although they just confuse her further. Her comment appears often, “Oh God, oh God – I can’t stand it.” Reverend G lives through Stages 4 and 5 in “Intermission for Reverend G.” Hebrews 13:5b. Stage 6: Back to Childhood. Severe cognitive decline as Reverend G is now entirely dependent for her survival. She experiences expressive aphasia as speech become more difficult. Her beloved Chris is with her and her family remains a source of comfort, but she has forgotten major events and the seasons of the year mean nothing to her. Time has virtually disappeared. She does know her own name, but others will have to help her with daily living. At this point, she is relying on God to keep her faith strong, because she has no cognitive ability to comprehend what the Bible says, even though she may be able to recite some passages or find comfort in music. “Final Grace for Reverend G” begins at the end of Stage 5 and continues through Stage 7. Psalm 56:3-4. Stage 7: The Race is Won. In this final stage, Alzheimer’s patients are virtually infants. All speech is gone. Feeding and toileting need assistance. They lose the ability to walk and are bedridden. Reverend G is visited by family and friends, but it is God’s faithfulness that continues to sustain her. As the author, I wrote Reverend G with some ability to comprehend thoughts although she can no longer voice them. The deep viewpoint was the tool I used because I wanted to show what we cannot know – how the Alzheimer’s patient can still feel love and experience faith. This is where final grace becomes most important. John 14:3. So these are the stages of Alzheimer’s, told from the viewpoint of our beloved Reverend G.
In the end, with final grace, even a fictional character can help us understand that once we belong to God – he will never, ever let us go. Last weekend, I attended graduation receptions for two young women. I have followed these girls through the lives and prayers of their mothers – two of my friends. And when I see these girls on Facebook or at my church, I smile – even though I know they probably don’t realize who I am or that I have an interest in their lives. But now they are embarking into the future, armed with one of the greatest treasures we all hope to possess: passion. Each of these young women are passionate about who they are and what they want to accomplish. Each of them is unique with giftings that show how incredibly smart they are and how much potential they possess. On one hand, I want to protect them from what is out there. I know they will experience losses and resulting griefs. That is just life. They will also be tempted to abandon their passions for lesser goals. I hope and pray that does not happen. Generations of women have abandoned their passions for lesser goals. That is a travesty. Many women have even forgotten what it felt like to have a dream and feel energized to make that dream happen. So many women believe they are not enough and try to find artificial ways to make themselves measure up. 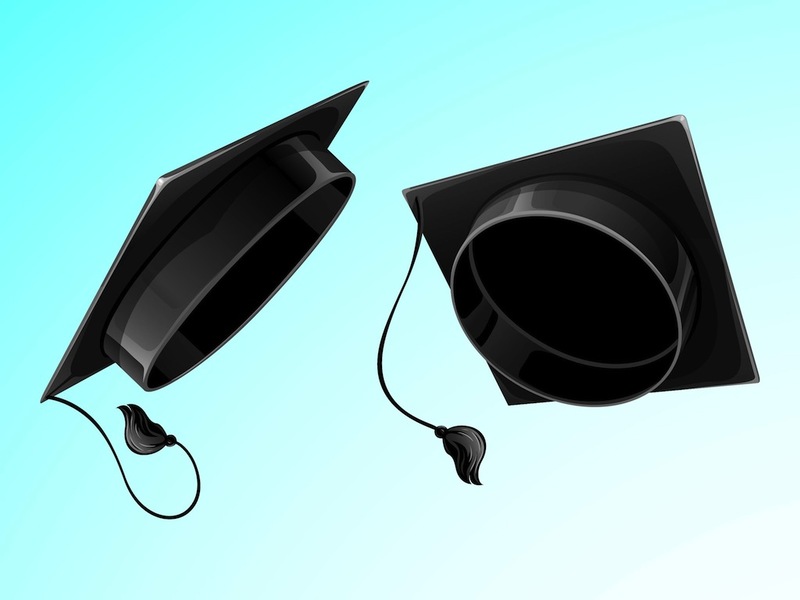 And so…within this blog platform…I wish to give you female graduates some advice. As an older woman, I’ve earned the right to do that and as a woman who has prayed for you, I believe it is my duty to share insights learned from long years on my knees and long hours trying to find the restorative keys to my own passion. Always keep your passion alive. Whether you long to become an editor of an international publication or you yearn to join the Philharmonic Orchestra or you hope to run the Boston Marathon and beat the guys – keep your passion secure and alive. Without your passion, your soul will become stale and you will lose the energy and zest for life that is so necessary to not only survive, but also to thrive. Never settle for what is merely good – whether in jobs, possessions or love. Instead, wait for and strive for what is best. Fifty years from now, you will look back and be glad that you waited for the best because that gives your life significance without regret. God created you as unique, and he wants the best for you. So never settle for only the good. Be authentic. If you don’t want to join the crowd, if you don’t want to be part of the sorority, if you hate broccoli – just be yourself and stay authentic. Wearing a mask is more tiring than being yourself. And trust me on this – you are already incredible. You are beautiful and you are a treasure. You are already enough. When life gets hard, remember that your parents raised you to embrace your passion. They have sacrificed much so that you could run toward your goals and every day, they think of you and pray for you. Then also know this…if you listen very carefully, somewhere in the atmosphere you will hear the rest of us women who have gone before you. We are cheering for you and hoping that you will be the ones to break the barriers of gender abuse, so that all women everywhere will be embraced as the incredible creatures we are. I love you both. I continue to pray for you. I believe in you.